A ride to the airport is usually no imposition because everything is close in Abilene, Texas. But a ride to the international airport is another story, because it means nearly 3 hours to the DFW airport. That’s about a 6 hour round trip. And Jack, he’s a dog. It’s one thing to ask someone to bring your family to Dallas, but to ask someone to bring your dog to Dallas on a separate day, is that asking too much? That’s what Tia was wondering when we recently took an early morning walk before the summer sun made it too unbearable. Her family was making plans for their approaching move to Costa Rica and they’ve been asking for a lot lately. She’s not the only missionary who wonders if she’s asking for too much. If it’s not a ride to the airport then it’s something else. When our family lived in Venezuela it felt like we were asking all the time. Would my brother drive us to the New Orleans airport at 3:30 in the morning? Can someone lend us car seats for the twins while we’re visiting the states? Can we stay with you–all six of us!–while Gary takes a class? Could Mom send us some chocolate chips? Does anyone have a car—a big one– we can use for 2 months? Will someone hand deliver a notarized copy to the consulate? Will you do a campaign with us? Will you send us some interns? Will you reconsider our salary—the exchange rate changed? Will you contribute to our travel fund? Dad had a heart attack, can I travel home? Will you help the church buy some property? Others must get tired of our petitions, because we get tired of asking. It’s embarrassing. It’s humbling. It makes us feel like a needy child instead of a responsible adult. We feel like the persistent toddler asking for a glass of juice—we keep asking until the glass gets filled. And before you know it, we have another empty glass to fill. Just because we do it, it doesn’t mean we enjoy it. It’s easier for some than others, but most of us dread it to some degree. But whether we like it or not, we keep asking. this job we’ve chosen is way bigger than us. So we ask you to join us. Join us in prayer, in dreaming, in completing the mission. working overseas strips us of the usual framework that allows us to be independent. So we ask you to support us. we commit to a mission without available resources to complete it. So we ask you to contribute. our kids love chocolate chip cookies, so we ask you to treat us–this one pushes the limit, but my mom was great to let us ask for those extras. It’s when missionaries quit asking that others should be concerned. It happened to us when we grew weary of feeling like the needy child. The problem was that when we quit asking, it meant that we quit dreaming. We limited the reach of God’s work through us to our own resources. And the kingdom of God is too big for that. So if you are a missionary, and feeling a little too much like a child lately, it may be a good thing. If you know missionaries, remember that it’s not always easy to ask. Welcome him or her tenderly. Surprise them. Ask them first how you can join them before they ask you. Do some asking for them–when you know their needs, ask your circle of friends if they will join the missionary in some way. Maybe you can’t help, but you know someone else who can. Jack arrived in Costa Rica today with the rest of his family. Their flights worked out so that Jack could travel with them after all. Tia only had to ask for one trip to the airport for their team of 8 people, a dog, a cat and a little more than twenty bags. They’ve already had plenty of training in the language of asking. Now time to learn the Spanish language before moving to Peru. Today I’m feeling grateful to all the people who said yes to the requests of this new mission team. They’ve made it possible for the team to begin the kingdom work that requires more than their own resources. And I’m feeling grateful for this new missionary team who has seemed a little childish lately. They let go of their securities, became like children, and asked. Because that’s what missionaries do. I would love to be added to your list to get your posts! The one you read while I was visiting and this one are so remarkable. Thanks for everything you have done for my sweet family! Thanks Rani! If you go to the homepage you should see a place where you can sign up for an email subscription using your email address. Send me a message if you have problems finding that. It was great to meet your family! You all play an integral part in supporting your sister on her mission journey. That was a beautiful post Frances, thanks! Some like the Mueller method of not asking and expecting God to show up. But sometimes God still shows up when we humble ourselves to ask and the stories about Him coming through are just as powerful. Thanks for adding that perspective of Mueller’s method. He was a powerful example of faith who did great kingdom work by letting God provide for his needs without asking. And you’re right, it’s a faith-buliding process when we watch God show up, whether we ask, or whether he surprises us. Fantastic article! I hope the team is doing well. Thanks for all that you are doing. It will always be a debate; asking vs waiting (Mueller example). It is amazing how much the two methods actually go together. Missionaries ask and GOD surprises with who or how He chooses to provide. Thank you for sharing…….from a missionary who has to ask. How childish to ask to visit your dying father. I don’t think a question like that would be considered “asking for permission;” so I wouldn’t consider it childish. But more so a request for help with expenses. An unplanned trip back home is a major expense that greatly impacts a missionary’s small budget. Never mind…..no coffee before commenting……I get you comment!! I think clearer after my morning coffee too. 🙂 Thanks for sharing. We had quite an adventure actually when my Dad had a heart attack. It sent us asking, pleading, and begging in quite a few lines at the U.S. consulate and in the Venezuela offices. Our last son was a newborn so I couldn’t leave the country without him, but Venezuela had been out of the paper they use in their passports since he was born. My husband is always great at keeping our papers in order in case of emergency, but Venezuela wasn’t so concerned about our emergency. Thankfully my Dad made it, the US consulate helped, and I went to visit him a couple weeks later during his recovery. Thank you very much for this article! It sums up many of my thoughts, fears, problems and hopes that come along with beeing a missionary (in Haiti in our case!). Fran, I’m glad you wrote this. People like me who aren’t missionaries need to read it. Sometimes we don’t understand, but you spelled it out beautifully and humbly. And you know what? God is working in your life too as you humble yourself and ask. As well as our lives as we learn to give. This is not only your ministry, this is God’s ministry, this is our ministry, and that’s what the body is al about. 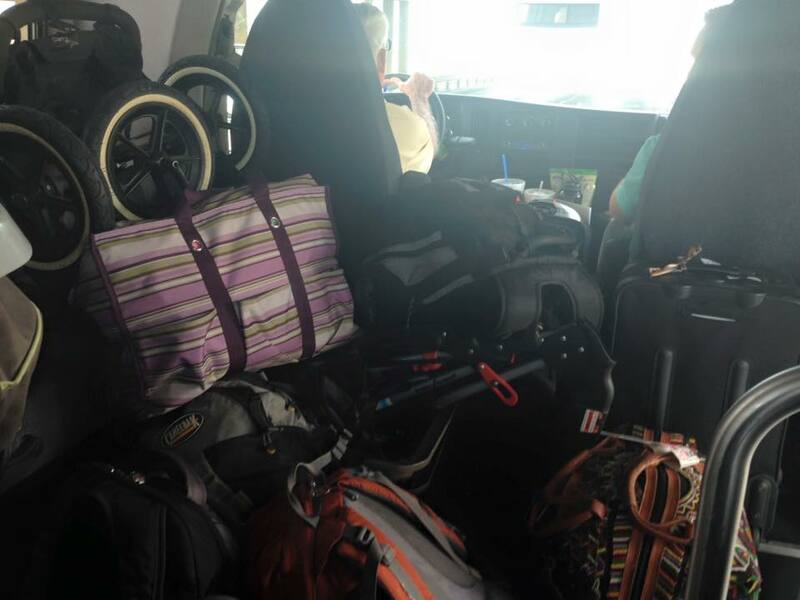 I grew up in a home that hosted missionaries regularly because my dad was a pastor, and so I’ve seen your side sort of from the passenger’s seat. God bless you! I’m your neighbor today on Grace and Truth! Thanks, I’m glad it was helpful. So true that we learn many lessons when we’re on the side of asking, and we learn many lessons when we give as well–there’s lots to learn about the body through the whole process. Thanks for sharing! When I started reading the article, I thought it was about me! 🙂 I’m a pastor’s wife, and I puppy-sit a bassett hound named Jack for a couple months, for missionaries that were going to Ireland and the paperwork for their family dog had not come thru yet. No one in their huge church volunteered to care for Jack. So when they visited our church and I learned about their dilemma, I volunteered to care for him. As I remembered when God called my husband to go to Bible college for the pastorate, and my children gave up everything they knew (6 & 9 yrs old). And WE had to give up our family dog…I didn’t want their children to go thru that… we love missionaries and try to meet their needs and wants. But being in full time ministry for almost 20 yrs… There are times when I do get tired of the asking, knowing that many pastor’s family’s and church members do without things to give to missions, while I see “some” missionaries always traveling back to the states and asking for support, etc…and it seems their hearts are not where God called them. The church and the missionaries and church congregation all have a part to fulfill in God’s Plan. And we all need to be good stewards of God’s money. And thanks for reminding us of our responsibility to be good stewards. Reblogged this on the toenail. And then on the field, at least where we are, we are daily bombarded with requests from those to whom we minister, as well as strangers who ha e heard of us. I know of no missionaries who have ever turned down a request, or. Or done what they can to help. And yet, I find that many missionaries find it very difficult to ask themselves. I know that for us, I know that many people already give sacrificially, and many are not well off. Often churches are struggling just to pay for their utilities. This makes it very difficult to ask people to give even more. You’re right–missionaries live the largest portion of their lives giving to others, responding to others’ needs and requests. It’s probably one of the reasons it’s difficult to put on the other “hat” and ask, along with the awareness of others’ own financial struggles as you mentioned. We share your joy in serving Him! Thanks for your input! I love this article so very much I feel like hugging it. As a medical “mcmissionary” I have walked this many times. Didn’t love the title because the article was SO much, much more than its title. I would point out, as further clarification, that the Mueller example (and actually Hudson Taylor as well), certainly didn’t just “not ask.” They prayed, faithfully, desperately, and waited on God to provide. As an example, before he went to China, Hudson Taylor worked as a Doctor’s assistant. He never reminded the Doctor of when his salary was due, but prayed to God to remind the Doctor at the appropriate time. This was essential in his life, to wait for God to do the prompting, even of things that were deserved. He states that the obedience and faith learned in those early days kept him strong throughout his life. By not asking people, we are not LIMITING His plan at all, but in fact, we are allowing a chance for Him to receive even more glory, which should be the ultimate goal. We are opening the door for His plans to take control. I am certainly imperfect, and I know each person is on their own stage of their spiritual life, but I would ask that anyone reading would consider if we are even called to ask humans for support. I have felt called to live life in such a way as to ask God, and allow Him to stir people to offer support. Am I perfect? No. Is it a struggle? Yes. But I do think this is how God has called me, and I think it is more likely how he would have us to live to the fullest, in the like of Amy Carmichal, Hudson Taylor, and George Mueller. Unfortunately, I think one of the limitations in that approach is actually the church as a whole. I do not think there are many people fervently seeking God’s direction on what to do with their resources, or how to help with missions.It is much easier for God to prompt people to support, if those people are seeking God with all they have, offering it up to him in the first place. Thanks for sharing more about George Mueller and Hudson Taylor and how their lives were such an inspiration for prayer and ministry. I respect you for living according to your convictions regarding support. I think there are various methods of ministry and missions that honor God and give him glory as long as they are bathed in faithful prayer and submission to him. May you continue to live to the fullest. The typical model now-a-days seems to be fund-raising, soliciting for funds, etc. and personally I couldn’t do so in good conscience (though I’m sure some others can) and I knew that that is what most organizations require if you join them. God graciously gave me a way to work abroad in a capacity where I could earn a bit my own income, and in this way He met my financial needs, but I know that this situation is not available to everyone. Too true for the life of caring for others. I miss Haiti every single day I’m away despite all the asking and trouble we always faced. I grew up in the home of an MK whose parents had served under the CIM. My mother was so strict about not asking that at times she wouldn’t give us something just because we asked for it. I think she was wrong. My husband and I thought Mueller and Taylor were right and lived under that principle for years, however, our study of Scripture did not support that as the ONLY method for raising support so, at times, later, we DID ask for funds – especially if it was to fund our ministry. I remember one time standing on the sidewalk before going in to visit a couple we planned to ask to give our ministry. I stood there and said, “I can’t! I can’t!” and my husband said, “Can you do it for the souls of…. ?” and so we went in and asked. Another time we stopped by to see some friends and he said, “I was just praying this morning re: where to give a certain amount of money that I have. I thought of you and wondered whether or not you had any needs and WISHED that you would tell us.” Someone pointed out to me that although Mueller and the CIM didn’t ask for money they talked about it constantly when they told their stories. This gave the subliminal message that they had need. I don’t fault them for that. Their stories have encouraged me all my life, but God’s provision is just as wonderful if we have expressed our need to others. I must say that all the missionaries on our team have given sacrificially to fund the Bible College we started. They put their money where their lives are. We were honored to serve with such people. They didn’t ask before giving all that they could themselves. It’s HARD to be a “beggar” as my soon-to-be missionary daughter described her feelings, having seen a man with a tin cup on the streets of her city. Perhaps humility is such a prerequisite for a servant of the Lord that that’s why most would-be missionaries are put through the deputation process before getting to the field. Thanks for sharing your own personal story as a missionary kid and as an adult missionary. Your journey is insightful and it seems that your family has a rich missionary heritage as your daughter embarks on her own journey. Thank you for this heartfelt and honest post. My husband and I are about to start another “round” of fundraising and I’ve been carrying that guilty “I’m asking too much” feeling. I really needed this post today! It’s hard when He asks us to trust… And hard when my part of trusting means asking! But I know it’ll end good with us knowing His heart better through the process. Again, thanks for the reminder that we’re not crazy and it’s ok and even good to be the ones asking. I’m glad that it was helpful. May you be blessed with courage and faith through the upcoming process. Reblogged this on Wandering Aisling. Hi, Frances! 🙂 I just wanted to stop by and thank you for linking up with us at Grace and Truth this week. As a grown MK, I appreciate these words! Even now, my husband and I are working to become church-planters with the North American Mission Board of the Southern Baptist Convention. And boy do we have needs! It’s truly hard to find that balance between praying/expecting the Lord to meet needs and just asking. I’m sure this will be a learning experience for us! Thanks, Jen. I’m glad these thoughts can encourage you through your transition into a new season. May you be blessed with wisdom as you navigate the process and may you be encouraged by the God who provides. Lovely article. I saw where a friend of mine reposted this and said, “Part of being a missionary is asking for others to co-labor with us, and it can be hard.” A statement so true I couldn’t try to rephrase it. Thanks Frances. Going on 9 years in West Africa. It is always hard to ask…but our Lord always comes through doesn’t He? Blessings in Christ to you and your family. Would you mind if I share part of this in a newsletter? The bit about ‘We ask because…’? We serve overseas and our support requirement has increased. Your article is very timely. Thanks. Are you guys at Cincel for language school? No, the new team I referred to that just moved for language school isn’t at Cincel. They went to the Spanish language Institute. I woke up this morning needing to raise some funds and this was exactly what I needed to read! I don’t mind missionaries asking as long as their mission is clear and worthy. When I hear more news about their vacations, children and pets than I do about the mission, I get concerned. If the mission is worthy and clear, then don’t be afraid to ask. People want to partner with that kind of missionary. A good reminder to be clear about communicating the mission. Thanks! Thank you and forgive us, missionaries, for not meeting a need when we see it! Here’s the other side. We’re givers. We pray for our missionaries, but we need to be told about the opportunities (needs). Last year a young missionary couple (Ukraine) joined us and our son and his wife (headed to Indonesia [now there]) for dinner. The husband mentioned how people had asked him how it feels to be a beggar. My son agreed that the question is tough to take. I disagreed and challenged the perspective. You should be begging people to pray for you, fervently, a lot. The money question is irrelevant. If they will pray hard for you, God will move someone(s) to provide. When you present financial or logistical needs you are offering others the opportunity to participate in supporting the ministry to which God has called you with material support for which those others are praying. As givers, we don’t HAVE to give, we GET to give. We look for opportunities to use what God has placed in our hands in the way He has planned. There have been times when a need has been presented and we didn’t have the resources to fill it. We asked God to provide additional resources specifically so we could fill that need, and God blessed another family with termites so that we could earn the additional money necessary for filling that need. I once chastized a dear missionary friend for not telling us sooner about a financial need he had. We both knew that we were not able to fill that need. But he also knew that we would pray hard for it, and do our best to find someone who could and would fill it. He now updates us on a regular basis, is fully funded, and briefs us on the status of support of other missionary families in his mission. We can’t provide for all of them, but we can pray, and sometimes we are blessed to find others who will support them. As missionaries, you are by nature givers. You will give and give out of poverty if necessary to see the work continue and grow. You bless people all the time by giving of yourselves, and you are blessed in the process. As you offer others the same opportunity to be blessed by being a blessing you are doing them a big favor. Even transporting a dog 200 miles to an airport can be a blessing to the one who does it. Please, when considering asking for a favor, material support or help, remember the words of our Lord; “It is more blessed to give than to receive.” Then extend the opportunity to be blessed, whether by giving or helping, to those who will hear. Thanks for sharing your perspective as a giver who responds prayerfully to the needs of missionaries. It’s a great reminder that everyone is blessed as we have opportunity to participate in the kingdom, whichever role we play. Hi Frances, first, congratulation for this article, its really that our fillings sometimes, im missionary too, im from Brazil and work with YWAM. so i want ask you, could i translation this article for Portuguese and publicize in my blog? i have blog in Portuguese and i would like to publicize in my new english blog soon i finish this blog.. thanks and sorry for my broke english. I’m glad you found it helpful as you work in Brazil. I think that I can get it translated to Portuguese and post it for you to share. Send me an email message if you don’t hear from me soon. Thanks! We are from Brazil, but our missinary work its here in the States.. I lived before in Texas, Tyler and now we live in Chico, California. Missiomary 16 years, never easy to ask for help. Wonderful blessing when folks sense a need and quietly help! Frances, we’re thrilled that you linked up with Velvet Ashes. This post was a perfect addition to the conversation that has been happening there this week. Love the depth and perspective that you give. I especially appreciated the connection between feeling like needy, asking children and the Matthew 18 verse. Thanks! I’ve just recently found Velvet Ashes and think it’s such a great resource for women in missions. Keep up the good work you are doing to encourage women around the world. Your site does a great job to invite conversations on real topics for women in a variety of missionary settings. What a great article! I cofounded a crowdfunding site for Christian Missionaries to help raise funds called http://www.GiveSendGo.com. We do not charge a fee like GoFundme or other sites. We understand the need and calling that Goers have and we are dedicated to helping them keep the money they raise! We also Give back 10% of any of the donations (we are powered by donations from Givers) we receive to operate the site, to campaigns that are not being as successful as others. Keep up the good work! Would you be willing to give permission for this to be shared in a letter to our supporters? We would OF COURSE reference the full article and your blog. So sorry to miss this comment earlier, but feel free to use this however would be helpful.